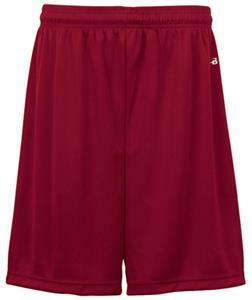 The Badger Sport 4107 B-Core 7" Performance Short features 100% Polyester moisture management/antimicrobial performance fabric, athletic cut and superior fit, 2" Covered elastic waistband and drawcord, 7" Inseam, double-needle hem, and Badger heat transfer logo on left hip. Waist (on the half) 13.25" 14.25" 15.25" 16.25" 17.25" 18.25" 19.25" 20.25" 21.25"
Quick and easy transaction! Delivered quicker than anticipated!